I am trying to integrate TOR into my java application. I have tried Silvertunnel and Orchid, and cant get them to work. "You'll just need to get Java to use the SOCKS4 proxy at localhost:8118"
Ive started reading into SOCKS4. Can anyone give some guidance on how to proceed. i.e what should i learn is there a TOR document in need to read( i have been on the TOR site, and cant find a specification document that i need to understand. This is it. Now you can connect using socket through TOR. A SOCKS proxy. It resides at port 9050 on localhost, usually(=by-default). 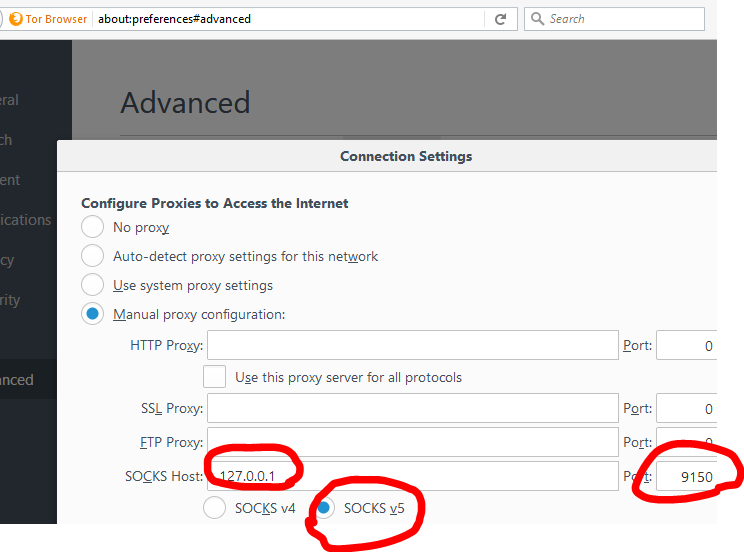 Using it is as simple as using any other SOCKS proxy, so pick a component of your choice or use a built-in functionality according to the official docs. A word of warning and thing that you should explicitly check: use proxy to resolve DNS names. It will prevent the data leaks. A DNS resolver. Of course, you can use it as a DNS server with a very limited functionality, but in conjunction with mapping dot-onion services to private IP ranges - it can be a very good thing to determine "are we going through Tor or not for this hostname". And one more piece of advice - don't use a surrogates/substitutions for Tor like Silvertunnel, it glitches like hell, actually. Use a standalone tor instance. If a person already have it - just let it betyped in as a config parameter for your app. If the person does not have tor - use expert bundle which is just-a-folder portable distribution of Tor and nothing extra. Not the answer you're looking for? Browse other questions tagged tor-browser-bundle socks java or ask your own question. How to connect to a mail server as a user (through Tor) and send e-mails from a hidden service webmail in perl? How to call Tor browser using Selenium using Java? How can I find out what my control port is? Can someone in our local network find out that I use Tor browser? How can I use silverlight with Tor?